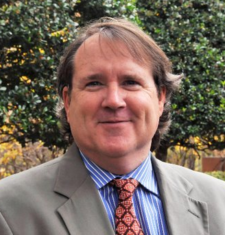 As Chief Development Officer at The Carter Center, Curtis Kohlhaas is responsible for cultivating and maintaining relationships with individuals and organizations in the Middle East, the United Kingdom, Asia, and Africa on behalf of The Carter Center. Since 1994, Curtis has held a number of positions of responsibility at The Carter Center including Associate Director of Development and Coordinator for Special Projects. Working closely with President and Mrs. Carter and senior leadership, he has traveled widely on behalf of the Center, including coordinating more than a dozen international election monitoring missions, several conflict resolution efforts, and fundraising trips. Kohlhaas’ professional experience includes serving as the Director of Principal Development for Habitat for Humanity International, as a major gifts officer for The Nature Conservancy, and as either a staff member or a consultant to multiple state-wide and national political campaigns in the U.S. He spent several years coordinating projects in the field, traveling to more than 60 countries in the process. He is a graduate of the University of Georgia and of Emory University.